So, you’re just about reading to hire an SEO outsourcing company? Your budget is approved and there’s probably a few of them that have impressed you with their bells and whistles. Now what? Pull the trigger and dive in? Interview a couple more? Here’s my two cents: slow down tiger. Really, the #1 asset you have in your hands right now is time. Rushing your decision which SEO outsourcing company to hire often comes with catastrophic results. Don’t get me wrong. There are a many firms that can convert your ranking problems into party time. However, having interviewed probably over 300 prospective clients over the years, I can assure you there’s something about your project they’re missing. Huh? Yuppers. Here’s my top 3 hotbed topics I cover (among a dozen others) with site owners to pinpoint their problems, goals and expectations. Have you seen any Google Webmasters notifications about spam backlinks? This is the grandaddy topic to nail down as the big G Penguin algorithm launched in April 2012 penalizes sites with spam backlinks. Hopefully your SEO outsourcing company prospects have already scoured your site for issues. If not, ask them today. A good answer needs to include a full explanation of their methodology how they pulled ALL OF YOUR backlinks…every SEO outsourcing company should be able to find them all. Don’t fall for the old trick, “We downloaded them.” Every SEO outsourcing company has sneaky ways to discover them. We sure do. It’s best to evaluate your backlinks using three different sources. How do you manage Google relevancy standards in my site content? ‘Oh-o’h many SEO outsourcing company sales reps will mumble to themselves. Here’s the real deal on relevancy: it’s mission-critical to ranking well across G, Y! & Bing. But why? You thought all you need was some good high-PR backlinks right? Not anymore. In fact, this an area of ranking that drives too many SEO gurus bonkers. To rank very well, you need rich content that is more relevant to the search engines than you competition. Come on, if it was that simple why wouldn’t everyone do it? Good question. Most SEO outsourcing company techies are lazy. Even worse, they have way too many clients. So spend the hours upon hours it takes to optimize your content using Google relevancy standards is not real high on their task list. Honestly, if you’re hiring an SEO chop shop with 539 clients, you are wasting your money. Time in the seat is a must. Oodles of hours reviewing, optimizing and then getting your site pages and posts indexed in the top 100 search results. Thereafter, adjusting your content to increase relevancy factors. Phew. I know, it sounds like a lot of work. It is but again, that’s why few firms do it. Instead, they bank on spam backlinking your site with a few clicks to get you some kind of results. 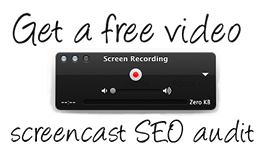 How important is video in my search rankings? Of the client sites I manage, all of the ones that we embed video in their content crush it. Remember, Google owns YouTube. Duh! Thus, for years now they have included video relevancy standards in their algorithms. You have a ton of SEO outsourcing company options to choose from just about everywhere. But don’t do something stupid like rush your decision. So many SEO outsourcing company salespeople love it when you dive in before understanding what you’re getting in their planning. If you want to learn more about how we produce broadcast-quality video included in our monthly fee, contact the kindest SEO outsourcing company in America (that’s us).